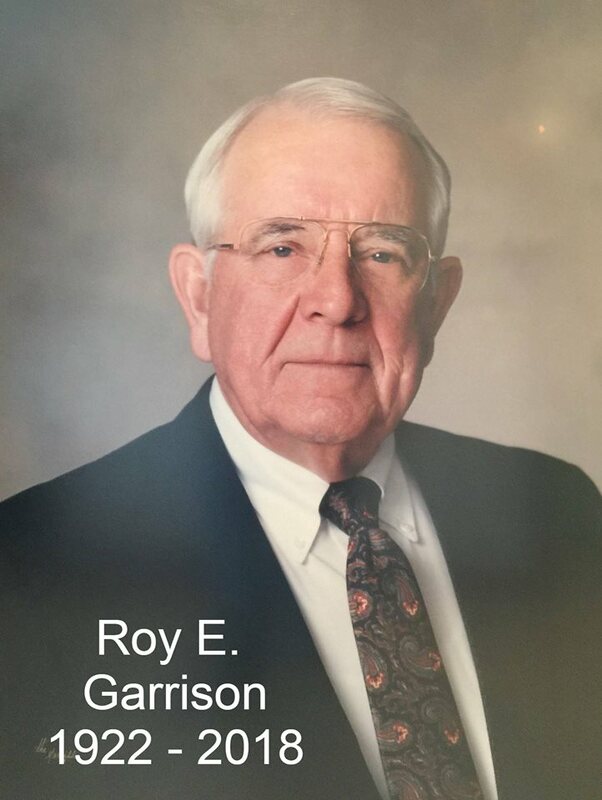 CULLMAN – Roy E. Garrison, founder of Cullman's R.E. Garrison Trucking, has passed away. The company announced Garrison's passing on its Facebook page Thursday evening. Garrison passed away on Wednesday, Aug. 8, 2018. "We are saddened to announce to our R.E Garrison Family, and to the Cullman community, that Mr. Roy E. Garrison, founder, namesake and friend, has died, August 8th, 2018, at age 96. "Roy E. Garrison founded R.E. Garrison Trucking in 1958 on the principles of hard work, honesty, and fair play. He led the company with great success, forging such strong relationships with customers and drivers that when Wyles Griffith and Donovon Lovell purchased the company in 1996, they kept the company name the same as it had been since Mr. Garrison put signs on his first truck, some 30 years earlier. "Roy E. Garrison was a loving husband and father, and one of the last living veterans of the greatest generation, fighting in World War II bravely from November of 1942 to December of 1945, under the inspiring leadership of General George S. Patton. "The employees and drivers of R.E. Garrison Trucking express our sympathies to his family, and we will be forever grateful for the legacy he has left us all."